Our gut bacteria could have more to do with lifespan than we previously knew. 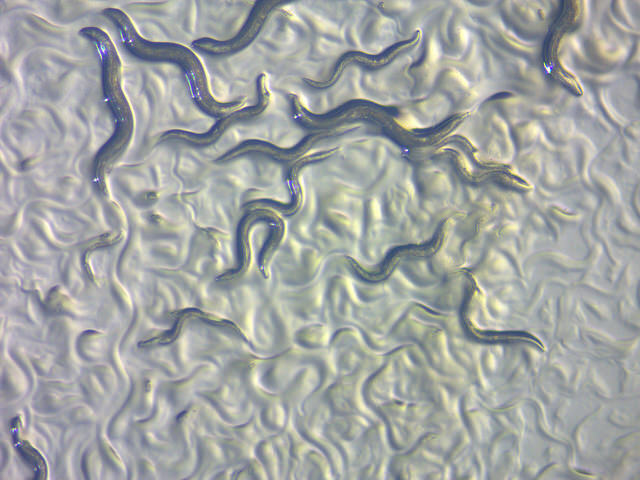 Researchers at the Baylor College of Medicine have found the key to longevity in Caenorhabditis elegans (C. elegans) worms — and maybe, someday, humans. The team noticed that genetically identical worms would occasionally live for much longer, and looked to their gut bacteria to find the answer. They discovered that a strain of E. coli with a single gene deletion might be the reason that its hosts’ lives were being significantly extended. Even in cases like this, where it seems fairly obvious that the microbiome is influencing longevity, parsing out the details of how and why this happens among a tremendous variety of chemicals and microbe species is extremely complex. The team, in this case, was successful because they simplified the question and focused on a single relationship. The team began with a series of E. coli strains that were identical except for a single missing gene in each strain. Once the various strains were fed to C. elegans, the researchers found that 29 of them extended the lives of the worms by at least 10 percent. Of those 29, 19 also improved the worms’ quality of life, protecting the specimens from cancer and neurodegenerative conditions — in short, they were protected from age-associated diseases. 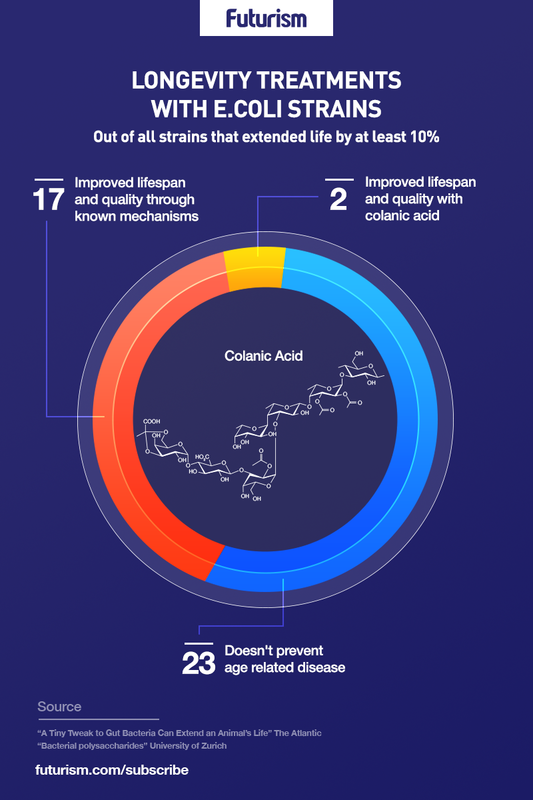 Two of the strains surprised the researchers by making very high amounts of colanic acid. When they were stopped from producing the acid, the longevity benefits also stopped, which established a relationship. Genetically engineering bacteria to support and improve human health and even to slow aging — and turning it into a usable, life-extending probiotic — won’t be easy. It is extremely difficult to make bacteria colonize the gut in a stable manner, which is a primary challenge in this field. The team, in this case, is looking to the microbiome, because the organisms used would be relatively safe to use because they would originate in the gut. Clearly, researchers don’t know yet whether these discoveries will be able to be applied to people, though it seems promising. Despite the obvious differences between the tiny C. elegans worm and us, its biology is surprisingly similar; many treatments that work well in mice and primates also work in the worm. The team will begin experiments along these same lines with mice soon. Other interesting and recent research hoping to stop or slow the march of time includes work with induced pluripotent stem (iPS) cells, antioxidants that target the mitochondria, and even somewhat strange work with cord blood. It seems very likely that we won’t have a single solution offering immortality anytime soon, but instead a range of “treatment” options that help to incrementally hold back time. And, with an improving quality of life, this kind of life extension sounds promising.